Finding it difficult to find the right people to connect with on social media?…or… Do you want to identify when someone talks about you, your product or brand on social media channels? Do you sometimes struggle to find great content to share? In this article, you’ll find some great answers to all these questions. Here are 7 different ways to do an effective social media search. There is a broad range of social media monitoring tools that allow you to track mentions across various social media channels. Brand24 is one such tool. In the image below, you can see that you can filter content from Twitter and Facebook. It even finds images that are shared that mention what you are looking for. You can also see, in the image above, that it tries to identify how influential the person is on Twitter. You can apply a filter to look at which influential people are sharing out the content. You can also look at charts such as this. 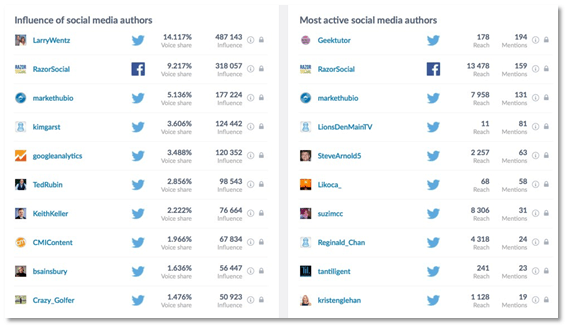 This shows you the people with the most influence who are sharing your content, and the people/companies sharing your content most frequently. You need to track both lists. You need to look after the key influences and best supporters and build relationships with them. When you are searching through LinkedIn, your search results are restricted based on the subscription that you have paid for. But…The majority of profiles are indexed on Google. If you could just search on Google and find what you were looking for, would that be useful…? Want me to tell you how? On Google, you can use the site command to restrict a search based on a particular site. For example, a search for “mediarescue site:twitter.com” (without the “”) will return mentions of mediarescue on Twitter. But there’s an easier way. You can set up a custom search engine for Google that automatically filters out content. 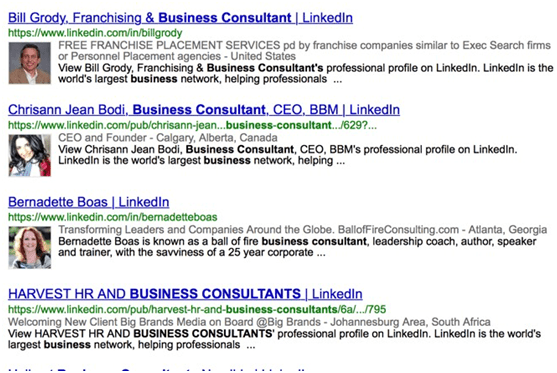 Here is a custom Google search for LinkedIn. 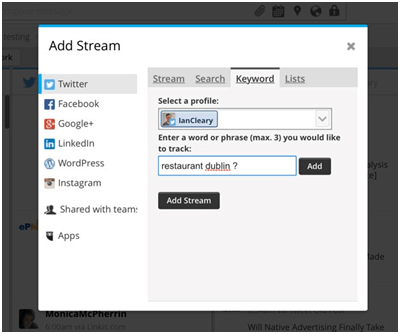 If you log out of LinkedIn and do a search using this custom search engine, you get access to everyone’s full profiles with no restrictions! Here is an example: when you click on each one, you get full access to their profiles, assuming they have not switched off any/all of their profile for Google indexing. 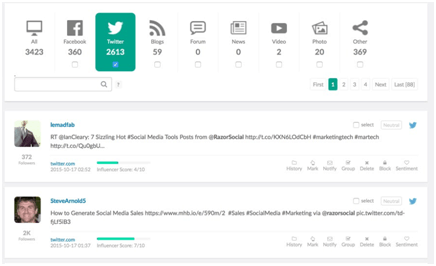 Post Planner is a social media management tool for Facebook and Twitter. 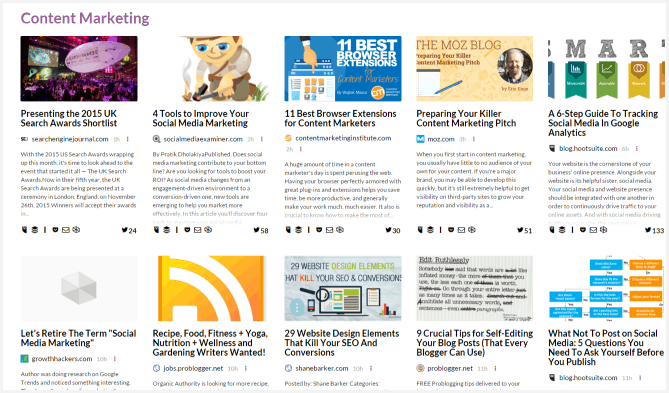 One killer piece of functionality with Post Planner is its content-discovery engine. It finds the most-shared content across social channels and you can then pick links from this content to share out on your own social channels. I recently listened to an interview on Kim Garst’s show on Blab where she talked with Josh Parkinson, founder of Post Planner. He said that, when you share content on Facebook, Facebook will share this out to more of your fans and followers if this content has already proven to be popular on Facebook. Of course, the opposite is also true. Share something that is unproven and it’s more likely that Facebook won’t share it out to too many people. View the most-shared updates from one or a collection of Facebook Pages that you add. This is really powerful functionality so it’s well worth checking it out. Hashtags are very popular on Twitter and Instagram but they are less popular on other platforms. But, if you want to search social media for content around specific topics, then searching hashtags could be very useful. 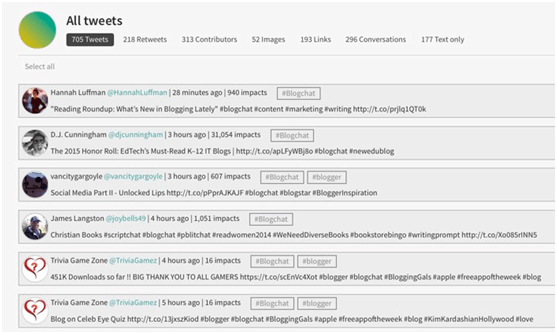 There is a variety of hashtag search tools available but one of the most useful ones is Tweet Binder. There are paid and free versions but you can get some cool information with the free version. 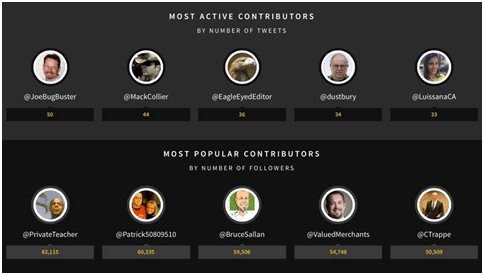 Here’s a list of the most active people that Tweet Binder found for the hashtag #blogchat, which is a weekly chat about blogging. Here’s a filter of the tweets based on this hashtag. This search string will show you tweets that include both the words in your search, and tweets that include a question mark. These are most likely to find tweets that you could respond to and prove yourself to be useful. ContentGems is a site that helps you to find relevant links and stories to share to your social networks. By inputting some keywords and search terms, ContentGems curates a list of content, relevant to your search, that you can read, store or share socially. In the example below, ContentGems auto-filled some keywords and search results. They are in a format that you will be familiar with if you have ever used any kind of advanced search capabilities, with words that can be included, words that should not be included, and words that must be included. On the left, there are icons for Hootsuite and Buffer. If you click on either of these, it brings up the relevant interface so you can share the article directly or add it to your sharing queue. Next, there are icons for Instapaper and Pocket. If you want to save an article to read properly later, you can do it with these services. Then, there is an envelope icon to share an article by email, and the final icon lets you share posts through ContentGems itself. On the right, you can see how many times an article has been tweeted. These sharing and saving options makes ContentGems easy to use alongside the tools you already take advantage of. It integrates with some of the most popular services, making it a great option for finding and sharing relevant stories and links to your social media feeds. 7. Find trending content using BuzzSumo. It’s good to know what topics are trending in your niche. If you share them on social media, it shows that you are aware of what’s going on. And it makes sure you don’t miss out on any industry news. BuzzSumo is a tool we’ve talked about a lot in the past, and one of its features is very useful for finding trending stories. In the menu at the top of the screen, choose Trending Now. Next, you can choose whether you want to see trending topics for wide categories, or for your own search terms. You can choose from the categories at the top or, like we have done, you can click the + symbol and add your own search terms. Unsurprisingly, we chose ‘social media’! 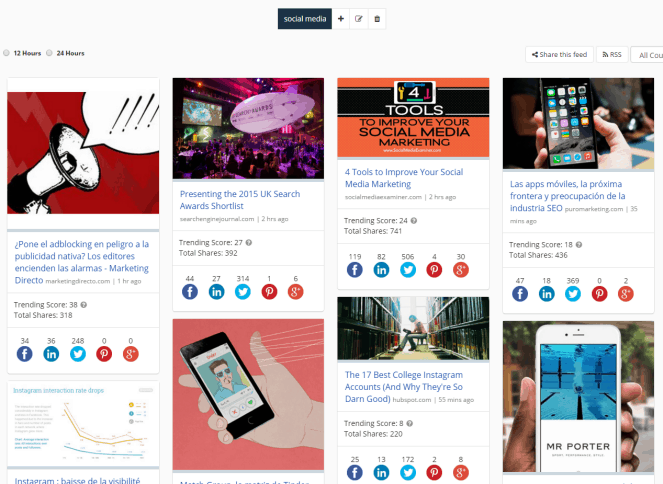 BuzzSumo then shows you the topics that are trending for your category or keyword. If the results you see aren’t quite right, you can tweak them by changing whether the trending topics should be from the last two hours or 24 hours, or anything in between. You can also choose which country they should be from. 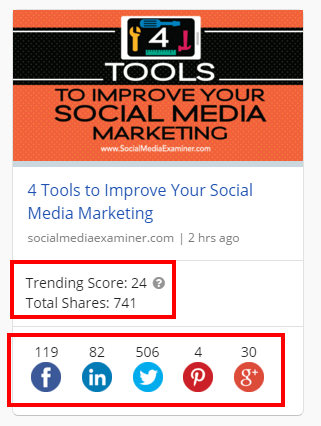 When you see a result that looks interesting to you, you can see the number of social shares that link has had. This can be a good indication of whether your audience will be interested in the topic. There is a goldmine of information out there on social media. But you need to filter the noise to find what’s relevant. What are you doing to find the best information to share? Do you want someone to do it for you? We can!